Upon a litigant’s motion, a court can enter a “preliminary injunction” preventing a party from pursuing a particular course of action until the conclusion of a trial on the merits. A preliminary injunction is considered an extraordinary remedy and requires the moving party to establish that (1) he is likely to succeed on the merits of the case at trial; (2) he is likely to suffer irreparable harm unless the injunction is granted; (3) the balance of the equities tips in his favor; and (4) an injunction is in the public interest. The party must make a clear showing that he is likely to succeed on the merits. Where a defendant has acted in an underhanded manner, but the plaintiff is unable to establish these factors, a court will deny the request for injunctive relief. In BP Products v. Southside Oil, the United States District Court for the Eastern District of Virginia considered and denied BP’s request for a preliminary injunction even though it was clear that Southside had acted deviously. Defendant Southside owns gas stations and also has fuel supply agreements with independent gas stations. BP decided to stop owning stations and simply sell gas to BP stations through middlemen. As part of its strategic plan, BP sold many of its Virginia gas stations to Southside, and Southside agreed to continue to market BP products at BP’s former stations. The parties renewed the contract in 2010 and agreed that BP would have a Right of First Offer (ROFO) as to any proposed sale of any of Southside assets. Before Southside sold any BP stations or changed any BP stations to other brands, it was required to provide a term sheet outlining its goals; BP could then either negotiate with Southside or allow negotiation with other buyers. Southside was not required to accept any offer by BP to purchase its assets. The 2010 agreement also gave BP a Right of First Refusal (ROFR) requiring Southside to give BP written documentation regarding any proposed sale so that BP could determine whether to buy Southside’s entire business. The 2010 contract expired on October 2, 2013. During renewal negotiations, BP sent a “notice of non-renewal” indicating that if the parties failed to reach a new agreement by October 2, 2013, the contractual relationship would end. Southside declined to renew the agreement and the relationship ended. After a federal court enters a judgment, a litigant has 28 days to file a motion to amend the judgment pursuant to Federal Rule of Civil Procedure 59(e). This rule allows a district court to correct its own errors and spare the parties and appellate courts the burden of unnecessary appeal. A Rule 59(e) motion is an extraordinary remedy to be used sparingly, and a court can grant such a motion only in narrow circumstances: (1) to accommodate an intervening change in controlling law; (2) to account for new evidence not available at trial; or (3) to correct a clear error of law or prevent manifest injustice. A party’s mere disagreement with a ruling does not warrant a Rule 59(e) motion, and parties may not use it to raise arguments or legal theories that could have been pursued before judgment. The United States District Court for the Eastern District of Virginia (Alexandria division) recently addressed this rule in Western Industries-North, LLC v. Blaine Lessard. Lessard was an employee of Western, a pest control company. When Western terminated Lessard’s employment, Lessard had possession of a bedbug scent dog named Dixie, and a dispute arose over which party owned the dog. The court granted Western’s Emergency Motion for a Temporary Restraining Order and directed Lessard to return Dixie to Western. After an evidentiary hearing on Western’s Emergency Motion for a Preliminary Injunction, the court found that Western failed to satisfy the heightened showing required for a mandatory preliminary injunction and ordered Western to return Dixie to Lessard. Western then filed a Motion for Reconsideration pursuant to Rule 59(e) and attached the Declaration of William Whitstine, the owner of the canine academy that trained Dixie and Lessard. Western argued that the court should have treated its request for injunctive relief as a request for a prohibitive injunction rather than a mandatory injunction. A prohibitive injunction maintains the status quo, whereas a mandatory injunction alters the status quo and therefore requires a heightened standard of review. The court noted that the status quo is the last uncontested status between the parties which preceded the controversy. Lessard had possession of Dixie when Western terminated him and the controversy arose; therefore, the status quo is Lessard’s possession of Dixie, and an order requiring Lessard to return Dixie to Western would have altered the status quo. Accordingly, the court’s characterization of the injunctive relief as mandatory and subject to heightened scrutiny was proper. A Pennsylvania school district violated two female middle school students’ First Amendment rights when it punished them for attending school while wearing breast cancer awareness bracelets that bore the slogan “I (heart) Boobies! KEEP A BREAST.” That was the ruling of U.S. District Judge Mary McLaughlin of the Eastern District of Pennsylvania on April 12, 2011, in a high-profile case that pitted free-speech rights and public-health efforts against the need to enforce discipline and promote order in public schools. Judge McLaughlin granted a temporary injunction enjoining the school from enforcing its “no bracelet” policy. The United States Supreme Court had previously held that students don’t shed their First Amendment protections at the schoolhouse door, but it had also ruled that educators have the right to ban lewdness and to preserve a learning environment. 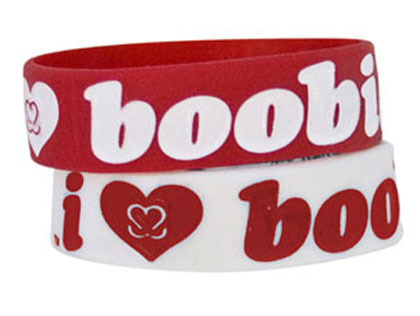 The school district’s lawyers argued that the “boobies” bracelets were lewd and vulgar, and that even if they weren’t, they should be banned because they substantially disrupted the work and discipline of the school. At the injunction hearing, school principals testified that they viewed the term “boobies” as “an impermissible double entendre about sexual attraction to breasts.” The court disagreed, reasoning that the statements needed to be examined in context. The bracelets are distributed nationwide by the Keep A Breast Foundation, a nonprofit that promotes awareness of breast cancer by women under 30. The girls, Brianna Hawk and Kayla Martinez, testified that they did not intend to express a sexual message by wearing the bracelets to school. Both of their mothers gave them permission to wear the bracelets, and they did so on the school’s designated breast cancer awareness day. Lawyers around the country have come to learn of the Eastern District of Virginia’s legendary “rocket docket.” With divisions located in Alexandria, Norfolk, Richmond, and Newport News, Virginia’s federal court is known as the most efficient in the country for handling intellectual property cases and complex business litigation. Also known for being friendly to business, trademark owners around the country often look for ways to establish venue in Virginia instead of a location closer to home where cases move at a slower pace. In the context of protecting trademark rights, one such opportunity can be found in the Anticybersquatting Consumer Protection Act. The ACPA provides for a cause of action against those who register or use a domain name confusingly similar to, or dilutive of, the trademark of another. Enacted in 1999, the ACPA was designed to address the practice of “cybersquatting,” which generally involves the practice of registering a domain name containing somebody else’s name or trademark with the intention of either profiting from the resulting confusion or of selling the domain name to the less-Internet-savvy trademark owner. You could sue the individual in the jurisdiction of his residence, but what if that person lives in the District of Minnesota, one of the slowest federal courts in the country? Or what if the registrant took steps to shield his identity when registering the domain name and you can’t determine whom to sue? One option available to you is to sue the domain name itself. And because VeriSign–the world’s largest registry and operator of the .com and .net top-level domains–is located in Dulles, Virginia, which falls within the jurisdiction of the Eastern District of Virginia, there is a good chance you can bring that action in the Rocket Docket, regardless of where the actual registrant resides.